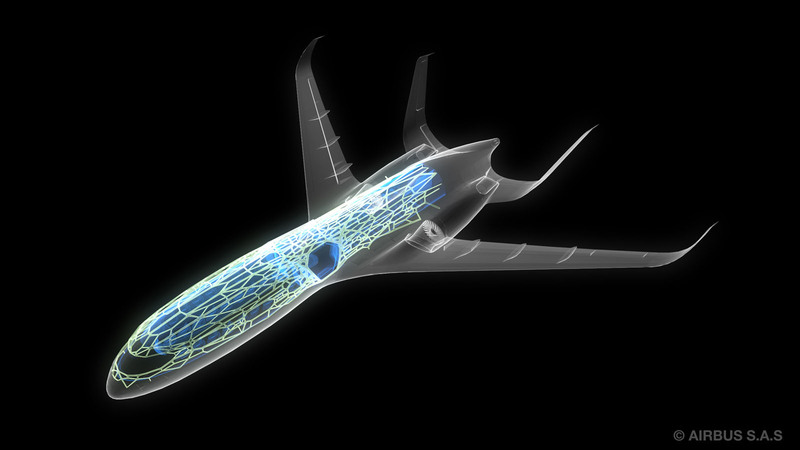 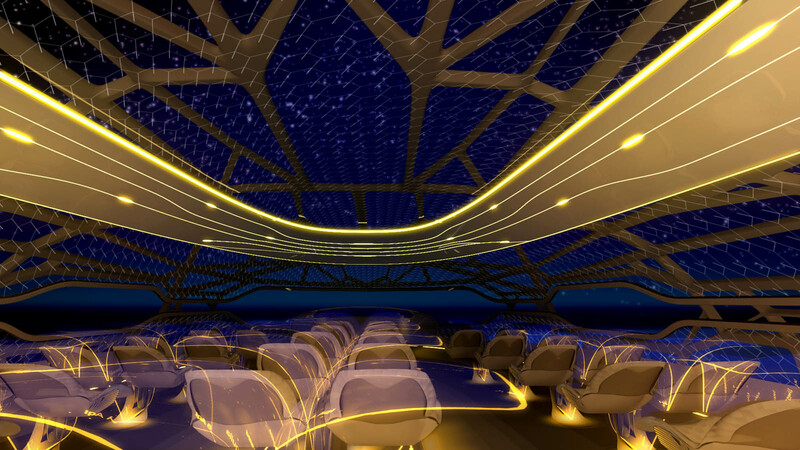 Airbus has shown off its plans for future design. 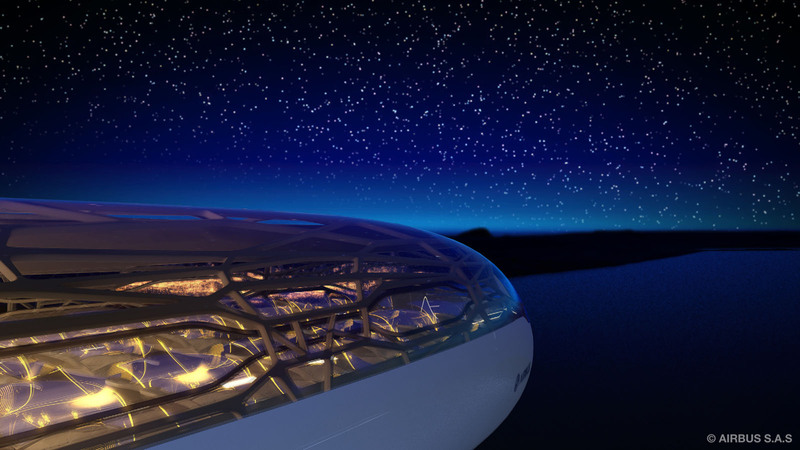 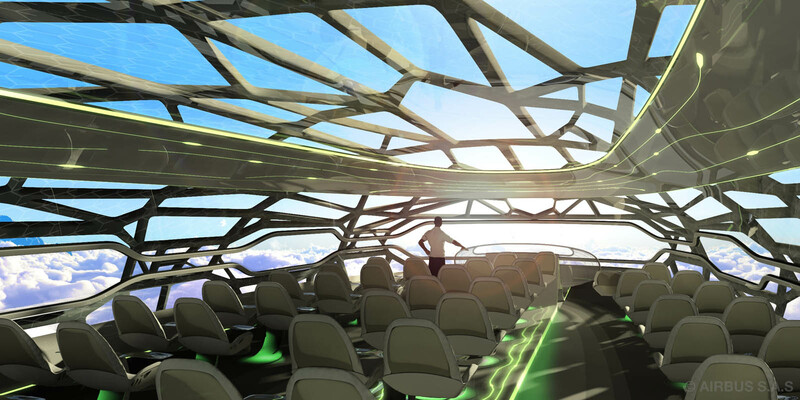 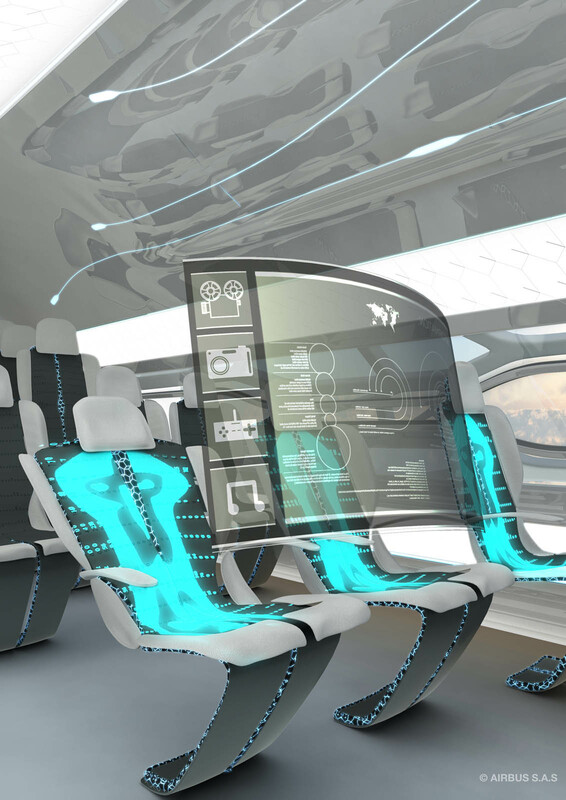 Whole project consits of nature-inspired concept cabin with intelligent wall which controls air temperature and can become transparent to give passengers spectacular panoramic views, vitalising zone that will help passengers relax, with vitamin and antioxidant-enriched air, mood lighting, aromatherapy and acupressure treatments, holographic pop-up gaming displays. 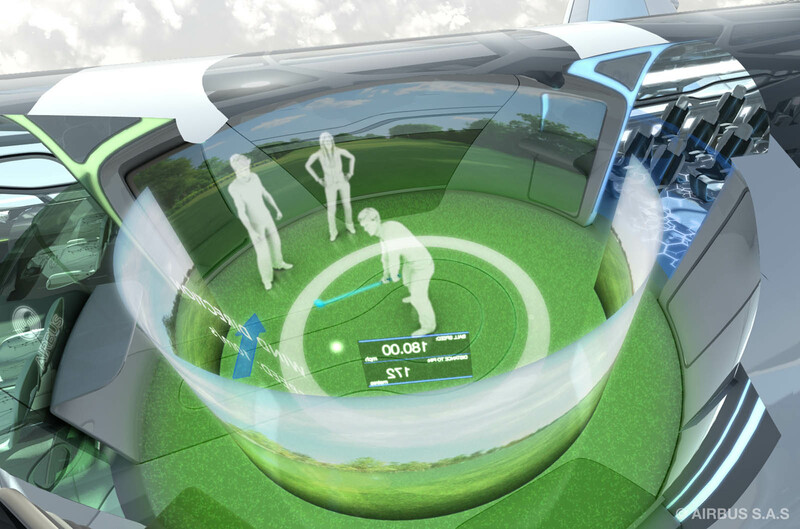 Passengers will be able to play a game of virtual golf, take part in an interactive conference or shop in a virtual changing room.